When it comes to increasing our metabolism, food has got to be the biggest factor that can help us. Increasing metabolism, helps your body burn more calories, which leaves less fat for the body to store. A slow metabolism can hinder your weight loss efforts and can leave a person feeling stressed out. One of the greatest ways to speed up metabolism is by drinking water. It is the easiest and healthiest thing we can do daily. It helps cleanse your body, fills your tummy (for a little while) and is great for weight loss. Lack of hydration can slow down your metabolism. As we all know, drinking plenty of water every day is necessary to maintain good health. Coffee not only increases your metabolism, but it contains next to no calories. But coffee is a diuretic, which means it eliminates water from your body and increases urine production (which doesn't help hydrate your body, it can actually be a little dehydrating if you drink too much). Also too much coffee can tax the liver. So as with anything in life, enjoy in moderation. 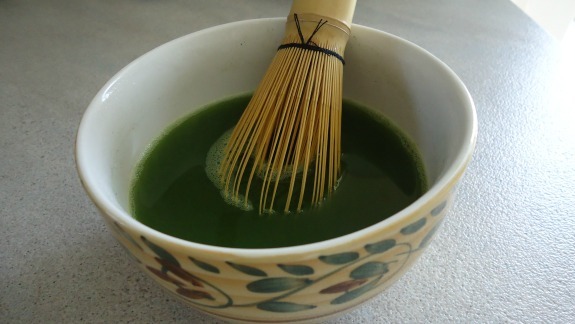 Not only is Green tea a metabolism boosting food (or drink), it has powerful antioxidants, which help protect the body from harmful free radicals which help with disease prevention. Also green tea is practically calorie free. Herbal teas are pretty much flavor enhanced water. If you wish to make herbal teas a little more exciting, try adding a little natural (real) honey and a little freshly squeezed lemon juice. There is a plethora of flavors available today to make tea time much more exciting. Lemon water can be enjoyed hot, warm or cold depending on your preference. 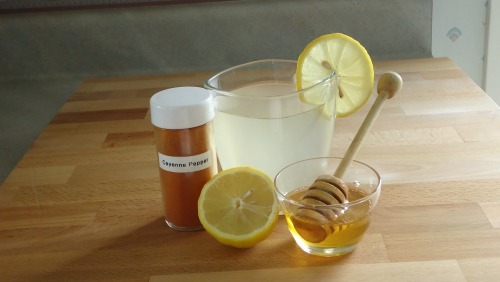 Place 1 teaspoon of honey into a mug and add boiling water, stir until honey has dissolved. Then add the juice of ½ a freshly squeezed lemon and top off the mug with hot, cold or room temperature water. To make this beverage even healthier add a dash or two of cayenne pepper (optional but very beneficial). This helps with digestive juices, helps regulate blood sugar and increases metabolism. You can also add a slice of fresh ginger or a small amount of grated ginger to this recipe for even more health benefits. Ginger also stimulates the digestive juices, helps detoxify and increases metabolism. It's a very simple drink to make. I take about 8 oz. of distilled water and add 2 teaspoons of Bragg apple cider vinegar and a couple of dashes of sea salt. Stir and enjoy. It's one of my favorite drinks to enjoy either first thing in the morning or in the evening before bedtime. Spinach because it's loaded full of good stuff. It offers high levels of antioxidants and is a rich source of vitamins and minerals. Spinach offers vitamins A, C, E, K, manganese, magnesium, calcium, potassium, iron, folate, folic acid, zinc, niacin and more. So low in calories, in fact it contains less than 10 calories per every raw cup of spinach. What a bonus. 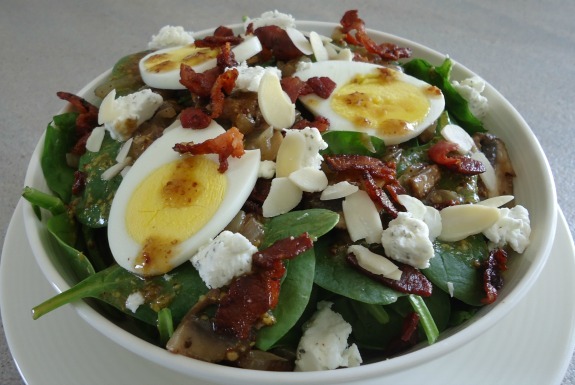 Try are spinach salad recipe (just click on the picture below). Such as cabbage, broccoli, Brussel sprouts, kohlrabi, and cauliflower. Not only are they low in calories and high in fiber, they also provide protein, calcium, iron, potassium, folic acid, vitamin C, folate (a naturally occurring vitamin B). Asparagus is loaded with vitamins and minerals. And can you believe that 1/2 a cup of cooked and drained asparagus is only 20 calories. This is one of those perfect sides to any lean cuts of meat for a calorie wise meal. The trick is not to add too much butter or sauce on top of them to keep them calorie friendly. Celery is a great metabolism booster and is another healthy choice. This vegetable contains lots of water, balanced minerals, vitamins, nutrients and essential oils. These oils help regulate the nervous system and have a calming influence. They are super low in calories and high in fiber. Helps digestion and stimulates the liver. If you find them a little too dull for snacking, then try dipping them in peanut butter or a veggie dip to make them more exciting. 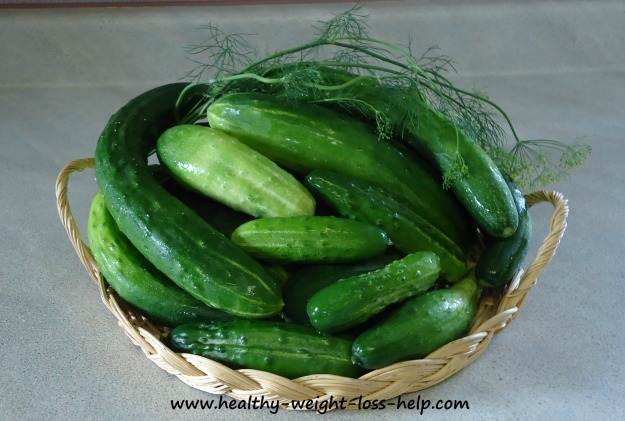 Cucumbers are low in calories, yet provide lots of water and some nutrition and fiber. Here are some of our homemade recipes that include cucumbers. That basket of cucumbers in the photo below is from our garden. That was a good year for cucumbers. In my eyes fruits are the most perfect foods to consume. They take the least amount of time and energy to digest and offer healthy nutrition in return. Fruits are always at their best when in season. are just some suggestions to choose from. Adding freshly squeezed lemon juice to your water or herbal teas can also help boost metabolism. Another plus is that lemon juice contains antioxidants, which help cleanse the liver and body and aids in weight loss. Ginger is used for more than increasing metabolism. For a spice, it has many special qualities and has been used for centuries to help with nausea, digestive issues and circulation. You can add it to chicken, stir fries, freshly made vegetable juice, add it to herbal teas and lemon water. Lean meats - are great metabolism boosting foods because they contain lots of protein. Eating lots of protein also increases metabolism, that’s why protein diets are so popular. Protein diets, such as the Holiday Diet work well, but are not recommended for more than 2 weeks at a time. Meats such as chicken, turkey, beef and fish that offer omega 3 fatty acids are all good choices. 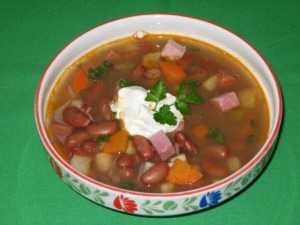 Soups - I must admit that a large section of our website is homemade soup recipes. Studies do show that soups are great at increasing one's metabolism. Soups have been a staple in my family for generations and is a great weight loss tool that provides lots of nutrition. Beans - Yes, I love beans and you will notice this from some of the bean recipes we have listed below that we offer on the website. 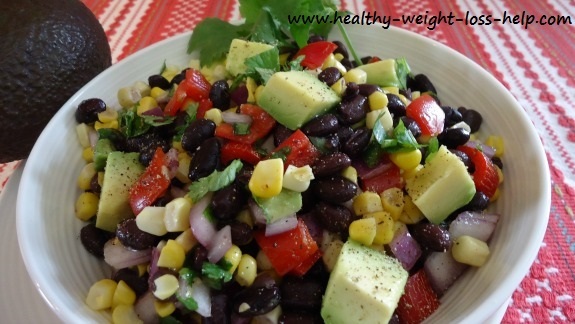 Beans are a fantastic metabolism boosting food. Beans are not only filling, but are low in calories and packed with nutrition. They contain loads of fiber too, helping aid in digestion and preventing constipation. You can make a salad out of them, add them to rice or soups or have as a side dish with many meals. Nuts such as almonds, walnuts, cashews etc. contain a good amount of essential fatty acids and can be filling. But they do contain a fair amount of calories, so eat in small amounts. If you're looking for a warm breakfast that is a metabolism boosting food look no further. Oatmeal can be a great way to start the day. It fills you up for a considerable amount of time and offers plenty of fiber per serving. Some studies show that it may help lower cholesterol levels. My personal favorite - try a bowl or organic steel cut oats topped with banana slices, almonds and a drizzle of real maple syrup. Include exercise in your everyday routine. Exercise helps us burn more calories. There are lots of exercise choices to choose from that can make it fun no matter which level you are at. As we get older, our metabolism slows down, especially after 40 and plus. There are many of us that are born into families that didn’t come with skinny DNA, I unfortunately know all about this as I’m one of them. If your parents had to watch their weight, guess what, you probably do too. According to multiple studies men burn more calories than women. This is because men have more muscle than women and you burn more calories to maintain muscle as it is an active tissue. Since there are some things that we cannot control, such as those examples listed above, we do have total control of what we put into our mouths. So try to incorporate as many metabolism boosting foods in your diet daily. If you have any comments, suggestions or would like to share a story with us, we would love to hear from you. Weight Loss News Page (Your Story Counts).